Management – Celsius Holdings, Inc.
With an extensive consumer goods background, John Fieldly, is a results-driven executive with over 20 years of broad financial and operational experience. In April of 2018, Fieldly was named Celsius Holdings Inc.’s CEO. Prior to that, he served as the company’s CFO since 2012. Since beginning his accelerated career at (NASDAQ: CELH), John has demonstrated a proven track record of driving robust business results and shareholder value. In his current role as CEO, Fieldly uses his strong background in financial leadership and operational expertise to focus on to maximize resources to drive revenue, corporate efficiencies, and shareholder value. With an extensive consumer goods background, John Fieldly, is a results-driven executive with over 20 years of broad financial and operational experience. In April of 2018, Fieldly was named Celsius Holdings Inc.’s CEO. Prior to that, he served as the company’s CFO since 2012. Since beginning his accelerated career at (NASDAQ: CELH) in 2012, John has demonstrated a proven track record of driving robust business results and shareholder value. In his current role as CEO, Fieldly uses his strong background in financial leadership and operational expertise to focus on process and procurement improvement strategies in order to maximize resources to drive revenue and corporate efficiencies. Fieldly began his career in retail within the food/drug/mass (FDM) channel through various leadership roles with the Eckerd Corporation. His work included sales training, merchandising, impulse sales strategy and quality control. Fieldly supported the acquisition to CVS in 2004. At the time, Eckerd had more than 2,800 stores nationwide. Between 2004 and 2012 – and prior to joining Celsius Holdings Inc. – Fieldly held a leadership role at Lebhar-Friedman, where he was responsible for business planning, financial reporting, and overseeing financial operations. He also worked for Oragenics, Inc. (OGEN), where he was responsible for all their finance functions, including financial planning, public reporting requirements and optimizing operational efficiencies and implementing procurement strategies to maximize operations. 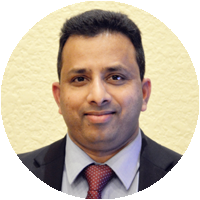 Mr. Fieldly is a Certified Public Accountant in Florida and a graduate of University of South Florida, where he earned his Bachelor of Science degree in Accounting. Married with two children, John and his family reside in Boca Raton, FL. Edwin F. Negron Carballo is a Certified Public Accountant who brings over 30 years of International Finance and Operations experience to Celsius Holdings Inc. In his position as CFO he is responsible for internal / external financial reporting, taxes, accounting aspects and compliance, treasury and risk management, financing, assisting with raising capital, business development, maximizing cashflow / profitability and SEC reporting. 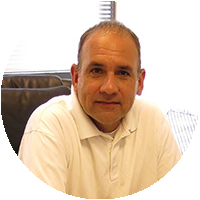 Mr. Negron’s experience encompasses all areas of finance, accounting, audit, taxes, treasury, risk management, capital budgeting, forecasting, M&A and management information systems. His operations experience relates to all major Supply Chain & Logistics areas; including regulatory and import / export compliance, as well as General Manager. Mr. Negron started his career in Public Accounting with tenure at KPMG-Peat Marwick. He has subsequently held senior management positions for World Class organizations such as Frito-Lay, Energizer, Tyco/Covidien and Sodexo. Mr. Negron has held positions of increasing responsibility including Sr. VP Finance for a $600M operation in the US and CFO for South America for a $1.2B operation with a presence in 7 countries. Mr. Negron earned a Bachelor of Science degree from Louisiana State University in Baton Rouge, LA, with a major in Accounting. He also holds an MBA from the Olin School of Business at Washington University in St. Louis, MO. He is a member in good standing of the American Institute of Certified Public Accountants and is a member of the FL Institute of CPA’s and the Puerto Rico CPA Society. Additionally, he was selected to the Top 25 Hispanic Business Corporate Elite list. 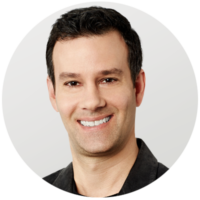 Matt Kahn brings over 20 years of marketing experience to CELSIUS as their EVP of Marketing. Having served a majority of his career in the beverage industry, Matt has worked for companies such as The Coca-Cola Co., Glacéau vitaminwater®, smartwater® and Heineken USA. From VP to CMO, Matt has held key marketing roles with each entity. His most recent title prior to joining CELSIUS in October of 2018 was that of VP, Marketing for Save-A-Lot Food Stores. Matt began his beverage career at Coca-Cola in 1998 and in 2003 he joined Glacéau. In his leadership roles at Glacéau, Matt’s invaluable foresight strongly contributed to Glaceau’s sale to The Coca-Cola Company for $4.1B. In 2007, Kahn served as VP, Marketing for Powerade; wherein he led the strategy to modify the formula to ION4 to differentiate it from Gatorade – thereby introducing Powerade zero – the first zero-calorie sports drink. This bold move gained Powerade 13 share points in 2.5 years. When Matt was VP, Marketing for Heineken, he managed a portfolio of five brands including Dos Equis, for which he led the development of a best-in-class video campaign featuring “The Most Interesting Man in the World,” garnering international appeal. Matt received his MBA from The University of North Carolina at Chapel Hill and bachelor’s degree in Business Administration from Washington University in St. Louis. He will be relocating to Boca Raton, FL with his wife and two daughters. Jon McKillop has worked in the beverage industry since 1997, serving in both supplier and distributor roles throughout his career. McKillop has been with Celsius Holdings Inc. since 2016 and has been promoted two times in his two-year tenure. He began his career with the company as the National Director of Sales for the Fitness & Military channels and within the year was promoted to VP of Sales for Alternate Channels wherein he grew the company’s fitness / military and e-commerce outlets to $10M+ annually. McKillop has been with Celsius Holdings Inc. since 2016 and has been promoted two times in his two-year tenure. He began his career with the company as the National Director of Sales for the Fitness & Military channels and within the year was promoted to VP of Sales for Alternate Channels wherein he grew the company’s fitness / military and e-commerce outlets to $10M+ annually. Most recently Jon was promoted to the role of Senior Vice President of Sales for North America, where he oversees our commercial growth strategy, customer retention and management of the Celsius domestic sales force. Prior to his arrival at Celsius Holdings Inc., McKillop worked in the beverage industry in a variety of management roles including being one of the first employees at Keurig (now Keurig Dr. Pepper), wherein he served as a Regional Sales Manager. After that he worked for Core-Mark as an Area Sales Manager, Pepsi Americas as a Western Region Sales Manager and Glanbia Performance Nutrition as the National Director of Sales for the organization’s beverage brands. McKillop holds a graduate degree in Marketing from Southern Oregon University. Married with two children, Jon resides in San Diego, CA and enjoys weight lifting, golf, paddle boarding and spending time with his family. Randy Smith brings more than 19 years of beverage experience to his role where he currently manages the Celsius Field Sales Team in various channels that include grocery, convenience and specialty retail. 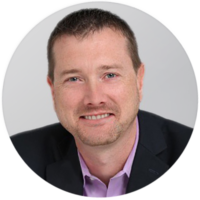 Randy Smith brings more than 19 years or beverage experience and knowledge to his position as VP of Field Sales and National Accounts where he manages the Celsius Field Sales Team in various channels that include grocery, convenience and specialty retail. The position also encompasses overseeing partnerships with DSD partners and wholesalers, as well as managing the execution of national accounts across the country. Prior to joining the Celsius team, Randy worked for GBS consulting for 2 years on various incubator brands where he managed beverage brands in several categories including water, energy drinks, dairy and nutritional. Randy was also the Western Regional VP for Crunk,- where he was responsible for the distribution, sales and marketing of Crunk Energy and Crunk Juice – a caffeinated malt beverage. Randy’s career in the beverage sector started with Pepsi wherein he was a Territory Manager, managing a 10-person team to drive sales in the convenience channel. He was also a Key Market Account Manager calling on Wal-Mart, Target, Kmart and Sam’s. His success eventually landed him a position as the Business Unit Key Account Manager, calling on regional accounts such as Target, Wal-Mart and Kmart for the Southern California business unit. Randy graduated from Point Park University, in Pittsburgh PA where he obtained his Journalism and Communications degree. Randy married his college sweetheart whom he has four children with and now resides in Cleveland, Ohio. Prior to joining Celsius Holdings Inc., Kotkosky was a Sr. National Account Executive for The Coca-Cola Company wherein she once drove the revenue of a $50k account to $250M within 14 years. Robbie Kotkosky has been in the CPG business for over 33 years now, with 23 of them being in the beverage sector. 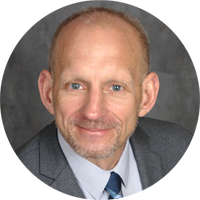 Kotkosky currently serves as the VP, National Grocery / Drug and reports directly to the SVP, North America. 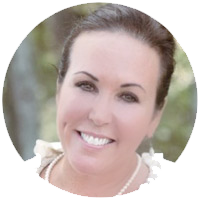 When Kotkosky started her career with Celsius Holdings Inc. in 2012, she was a Director of Sales and was soon promoted to VP, Domestic Sales thereafter. 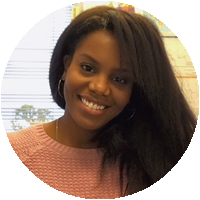 In her role at CELSIUS, she is responsible for managing and expanding distribution with current customers and bringing on new, national accounts as well. Prior to joining Celsius Holdings Inc., Kotkosky was a Sr. National Account Executive for The Coca-Cola Company wherein she once drove the revenue of a $50k account to $250M within 14 years. Kotkosky was a Top Sales Producer 15 out of 17 years while employed there. Before that she worked for Pillsbury as an Account Executive – but was promoted annually and given additional responsibilities – over the course of the eight years that she worked with them. Kotkosky was also a Sr. Regional Manager and original team member for the Morning Star Group that launched International Delight Flavored Coffee Creamers. Kotkosky attended Northwood Institute in Midland, MI and graduated with a BBA in Business Management, a BBA in Marketing AND an AA in Fashion Merchandising. A resident of Charlotte, NC, Kotkosky is an avid animal lover and volunteers at USEA and NCDCTA Horse Shows where she cheers her daughter on. She enjoys golfing, spending time with her 4 girls and 4 grandchildren and is a Board Member of Fit Life Solutions. Ronnie Char brings in diverse, fast-moving consumer goods management experiences across the Asia region, including Greater China, Southeast Asia, Japan, South Korea and India. 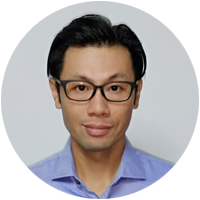 Prior to joining the Celsius family as the General Manager for the Asia region, Ronnie spent over 10 years at PepsiCo and 3 years at Red Bull across finance, sales, marketing and general management roles at market and regional levels. With the successful launches in China, Hong Kong, and Singapore, Ronnie is aspired in bringing the healthy energy of CELSIUS® to consumers with active lifestyles in many more markets across the region. 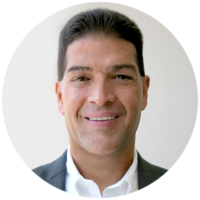 Ronnie is a Certified Public Accountant in Delaware who started his career as an auditor at Arthur Andersen and KPMG. He obtained his Bachelor of Arts in Chartered Accountancy at the University of Waterloo (Canada) and Master of Business Administration at the University of Warwick (United Kingdom). A long time CELSIUS employee, with over ten years of service in the roles of staff accounting, where she was promoted to Controller. She also manages the inventory, logistics and procurement. She is responsible for the global procurement and management of supply chain relations. Her career began in large scale event planning and logistics with record labels such as Atlantic Records. She earned an Bachelor’s in International Business and a Bachelor’s in Accounting from the Florida Atlantic University. Sandy’s favorite flavor is Wild Berry. Stephen George is the Corporate Controller for Celsius Holdings, Inc and he is responsible for the financial and accounting functions of the Company. Prior to joining with Celsius Holdings, Stephen worked as a Senior Manager of Accounting at American Tower Corporation, the leading Telecommunications Tower Company. Stephen brings to Celsius over 25 years of finance and accounting experience from various industries including international markets. Stephen began his career in accounting at Elames Trading and Contracting as Accounts Manager, located in Bahrain until 2005. After moving to the United States, Stephen joined with Global Tower Partners, a Telecommunications Tower Company, and served as their Accounts Manager before being acquired by American Tower Corporation. Stephen holds a Bachelor Degree from the University of Kerala, India. Bryan Alesiano brings over 15 years of sports nutrition knowledge and beverage experience to his position as Senior Director of Sales – Alternate Channels / Fitness. Alesiano leads the development and execution of the brand’s Alternate Channel which encompasses the fitness channel, military channel and e-commerce channel; all the while coordinating the efforts of his direct reports for enhancing year-over-year growth. 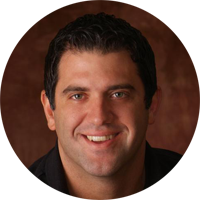 Before joining the Celsius team in early 2017, Alesiano worked with Glanbia/BSN for 12 years, wherein he served as National Sales Manager of North America, managing the North American Fitness Channel with a 30-person field rep team for four major sports nutrition brands. Prior to that, Alesiano also served as the Mass Market Account Executive within the FDM/ Convivence Beverage Division for BSN from 2009-2013. Alesiano attended Kent State University, majoring in Business Administration in Business Management. His overwhelming passion and love for fitness & health has catapulted his success within the Fitness Industry and he holds both ACE and CSCS fitness certificates. Alesiano currently resides in Boca Raton, FL, where (NASDAQ:CELH) is headquartered. Anthony has been with CELSIUS for twelve years. He currently manages all transportation logistics and order fulfillment of major customers. His role includes oversight of the company’s information technology through third parties, the EDI back end, and all customer service relations. His background includes advertising sales for Clear Channel, CBS/Viacom. He attended Bowling Green State University in Ohio, and majored in Sales/Marketing with a minor in Mass Media. Toby David has served as the Director of Business Development-International for Celsius since January 2016. 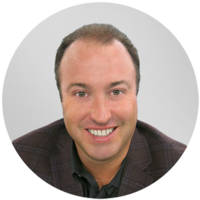 Toby David has served as the Director of Business Development-International for Celsius since January 2016. David’s responsibilities include managing the overall business in existing International Markets, as well as identifying and vetting potential distribution partners for future Celsius International markets. Prior to this role, David spent the previous three years managing the Fitness Channel, eCommerce, and managed specific key grocery and distribution accounts. Prior to arriving at Celsius, David’s background included sales positions, on-air talent with CBS Sports Radio in Tampa Bay, and a cup of coffee in the Florida Marlins organization as a minor league pitcher. David holds a B.A. from Furman University in South Carolina. David Smaltz has worked in a variety of positions in the Food Trade since 1979. In the past 15 years, he took his proven track record of driving sales and transitioned himself professionally into the vending industry. David Smaltz has worked in a variety of positions in the Food Trade since 1979. In the past 15 years, he took his proven track record of driving sales and transitioned himself professionally into the vending industry. At Celsius Holdings Inc., Smaltz handles all burgeoning and newly established vending relationships wherein CELSIUS beverages are now being positioned and stocked. A former entrepreneur, David once owned Smaltz Family Foods. Prior to joining Celsius Holdings Inc. as their Sr. Director Sales, Vending, he was employed in either a Sales or Operations capacity, primarily at the Account Manager level. Starting out as a Director of Operations for Brew City Grill and Brewhouse; Smaltz has held posts such as Field Consultant for 7-Eleven, Account Manager for Canteen Vending, Account Executive for Aramark Refreshments, National Account Manager for Luvo LLC and acted as both District Operations Manager and Business Development Manager for Next Generation Vending. David is a graduate of Holyoke Community College in Holyoke, MA and a resident of both Charlton, MA and Wells, ME. Married with 6 children, he is a 10+ year veteran Coach of a youth basketball league, is a member of the American Liver Foundation Boston Marathon team and is an avid runner; having completed over thirty races in the last 3 years, including 3 marathons. 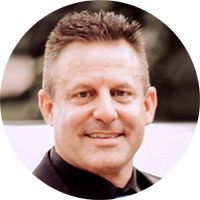 Jason Burke comes to Celsius Holdings Inc. with 28 years of beverage experience, after setting up DSD and Convenience marketing operations nationally. 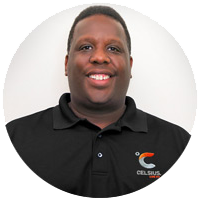 Burke began his career at Celsius in 2018 as the Sr. Dir of Business Dev. Prior to joining CELH, Burke previously worked for other beverage titans including Arizona Tea, Quaker Oats / Snapple, Glanbia, Monster Energy and Corr-Jensen; serving in varied positions from Director of Marketing, to National Distribution Manager to VP, Sales Convenience / Alternate Channels. Burke attended Harris County College and currently resides in Texas. He now has not one - but two daughters in college - and enjoys hunting, fishing and working out when he’s not closing deals for Celsius Holdings.